As she approached her client’s house, the care manager could not believe her eyes. There on the street in front of her home lay 82 year old Jean Smith – unconscious. Soon after, Mrs. Smith (not her real name) was asked to leave the retirement community to which she had just moved months before — a difficult yet not unusual situation. My colleagues and I at Complete Care Strategies served as a support team for Mrs. Smith and her daughter, who lived across the country. We worked quickly to develop a solution: we helped Mrs. Smith move back to her former home where she received 24/7 home care with oversight by one of our firm’s skilled geriatric care managers in Philadelphia. Taking care of Mrs. Smith that day — and in the aftermath of the chronic drinking that led to her fall —taught our care management team a lot about what families face when an elderly parent is addicted to drugs or alcohol. We thought of Mrs. Smith recently when my colleagues and I attended a workshop at a local retirement community led by Cynthia Zubritsky, Ph.D., Director of Integrated Primary Care and Behavioral Health Services at the University of Pennsylvania’s Perelman School of Medicine. 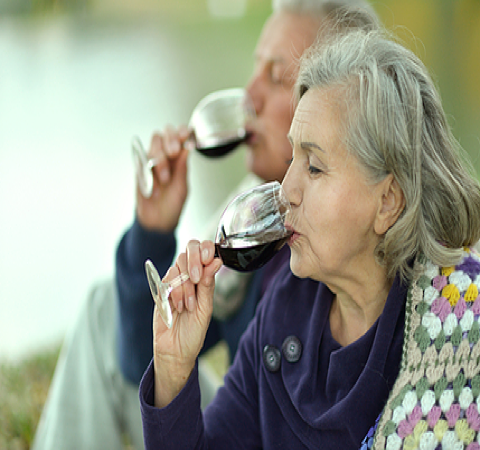 Sensitivity to alcohol and drugs increases with age. Bone density decreases with age, increasing the likelihood of falls leading to serious injury. Alcohol and drugs kill brain cells and may lead to dementia. Alcohol is stored in body fat — the more fat, the more alcohol remains unmetabolized. As we age, fat doubles to 30% while water decreases in our body, which can impair cognition. Total withdrawal from these substances can lead to dangerous outcomes without the most skilled clinicians standing by. Families with elders who have substance abuse issues often find it difficult to come by helpful information and resources. And facilities that offer long-term services and elder care aren’t always equipped for these issues, either. At Complete Care Strategies, our geriatric care managers in Philadelphia, work with each family individually. We acknowledge that we can’t change behavior or solve this problem for families. Instead, we work to find and offer creative solutions and supports. Our caregivers can’t buy alcohol or they will lose their job: so sometimes we dilute liquor with water. While we often refer clients to treatment programs with expertise with older adults, some have traveled that rehabilitation road unsuccessfully in the past. Along with working to keep our clients’ safe, we also support family members who may be devastated by a parent’s history of substance abuse. While Mrs. Smith’s physical injuries healed, her drinking remained intact until she lost her mobility and had no means to her next drink. Her situation illustrates our care philosophy: we do not participate in pathological behavior, yet we also have no right to intrude upon anyone’s life journey. As our care managers seek that respectful balance, we are often reminded of the well-known serenity prayer: God grant me the serenity to accept the things I cannot change; courage to change the things I can; and wisdom to know the difference.